Take advantage of the hotel's room service (during limited hours). Wrap up your day with a drink at the bar/lounge. Buffet breakfasts are served on weekdays from 7 AM to 10 AM and on weekends from 8 AM to 10:30 AM for a fee. Les Appartements de Champagne offers uniquely-decorated apartments located in Reims, a 20-minute walk from the famous cathedral. 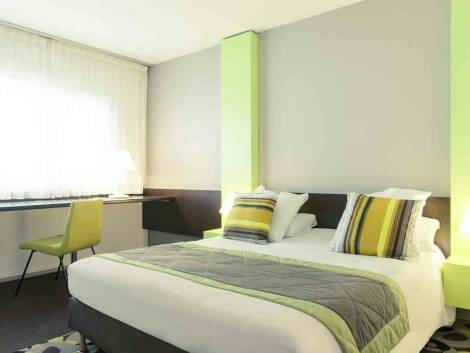 The apartments will provide you with a TV, free WiFi access and a seating area. Fitted with a bathtub or a shower, all the bathrooms include free toiletries. Some have a private, furnished terrace and others are located on the ground floor. All of the equipped kitchen have a microwave and an oven. The residence is situated 50 metres from a gourmet-style restaurant and a grocery shop which is open 24 hours a day. The property is protected by 24-hour video surveillance. It is 300 metres from Pierre Schneiter Garden and 400 metres from Parc de la Patte d'Oie. 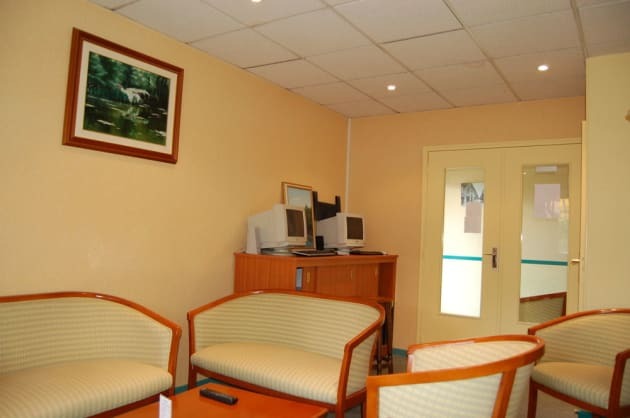 It is 500 metres from Reims Train Station and 750 metres from Place Drouet d'Erlon. Located in the Ecoparc Reims business center, close to the exhibition center and the ancient chalk cellars of Colline St Nicaise (a UNESCO World Heritage Site), this Mercure hotel offers comfortable rooms for your stay. Just 2.5 miles (4 km) from the cent er of Rheims and its cathedral, this is the perfect spot for your business or leisure stay. Explore the many Champagne houses or treat yourself to a well-deserved break in the hotel garden. Enjoy our pool or a gourmet snack on our terrace.